Shanghai's public healthcare has gone through several reforms but is still considered sub-standard on a global scale, which is why most expats and even locals prefer to get international private medical insurance for complete health coverage. After all, healthcare is one of the most important preparations anyone can take when deciding to live the life of an expat. And in a city which has just become a booming national economic centre, a nice welcome is in sight. Shanghai's wealth of world-class hospitals where most doctors are internationally trained and English-speaking provides ample security for expats beyond their basic requirements. Regarding public healthcare, a tiered system allows residents to avail of partially state-funded medical services whereby the government shoulders 70-80% of bills for medical care in a small hospital, 60% in a county clinic and about 30% in a modern city hospital. The public healthcare system itself has been planned carefully with beefed up technological and manpower resources and simultaneous promotion of traditional Chinese and Western medicine. However, population issues have led many expats and tourists to seek care in the private sector. Shanghai's healthcare system may not be the best in the world, but it is developing at a rate that is faster than any other healthcare system being built today. On top of that, no developed country in the world has matched, let alone exceeded, the Shanghainese' record high life expectancy of around 81 years, not to mention the fact that most of this population makes use of the city's public healthcare services. Private insurance companies offer varied options for foreigners, including expat-specific services such as medical evacuation, and dental services from examinations to x-rays, although these can be quite costly. Along with Western-style public hospitals, these companies are also affiliated with foreign-operated private hospitals where most expats and tourists prefer to seek care. Most health facilities in Shanghai require a deposit which may be paid through credit cards, although others demand cash. International medical insurance will also not be recognised by any of these institutions. 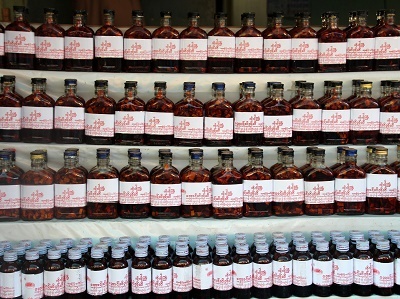 Medicines in Shanghai are cheap, but there could be issues with availability. Although many well-known over-the-counter drugs are available, many still require a prescription. Expatriates who have to be on maintenance medications will find it wise to bring stocks with them upon arriving in China and most importantly, with prescriptions. Otherwise, having these drugs shipped can be a lot of work as the Chinese law requires that medicines brought into the country come with import certificates. Coming to Shanghai does not require any immunisations but recommended are Hepatitis A & B, Japanese encephalitis and rabies. The city also has one of the highest TB mortality rates in the country which means proper medical precautions should be taken before travel. It has also been found that foreigners are particularly prone to colds and flu due to weather issues. However, these problems are expected to go away after about a year of adjusting to Shanghai's freezing winters and scorching summers.